You will develop new concepts for computational imaging and metrology, to advance the capabilities of semiconductor metrology and enable accurate characterization of nanostructures. (sub-)diffraction-limited performance over wide wavelength ranges, and allow for quantitative soft-X-ray microscopy without the need for high-quality optics. As a postdoc, you will explore theoretical concepts underlying different computational imaging. You will contribute to the improvement of current approaches to computational imaging, and develop new concepts for quantitative imaging and/or characterization of micro- and nanostructures. Specific emphasis will be on the characterization of structures that are relevant in the semiconductor industry. 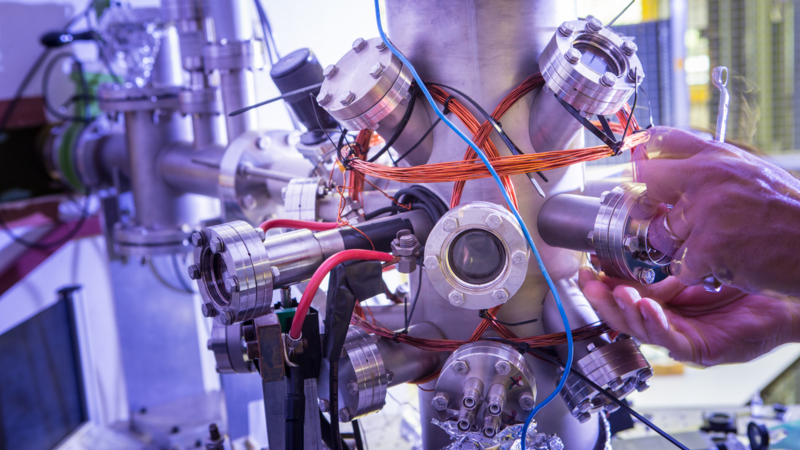 You will collaborate with other scientists at ARCNL on the experimental implementation of newly developed imaging concepts, as well as with researchers from the semiconductor equipment manufacturer ASML. The common goal is to work towards applications in nanolithography. The EUV Generation & Imaging group at ARCNL has a well- developed research activity on lensless and computational imaging, using both visible light and EUV/soft-X-ray radiation, aimed at high-resolution imaging and metrology of nanostructures. The group not only collaborates with ASML, but also with the VU University (Atoms, Molecules and Lasers group) where they also carry out research on novel optical metrology concepts for nano-lithography. You need to meet the requirements for a doctors-degree and must have research experience in a non-Dutch academic environment. You have a PhD in computational physics, informatics/computer science or applied mathematics, and combine a strong theoretical foundation with an affinity for experiments and applications. You have experience in computational imaging, modelling (optical) wave phenomena, information theory and/or optimization algorithms. Knowledge of imaging technology, advanced programming methods and/or semiconductor metrology is considered an advantage. Good verbal and written communication skills (in English) are required. The position is intended as full-time (40 hrs / week, 12 months / year) appointment in the service of the Netherlands Foundation for Scientific Research Institutes (NWO-I) the duration of 2 years. Do you come from abroad? ARCNL will assist you with VISA applications and compensate your transport costs and furnishing expenses.